Edward Scott joined Dickinson Gleeson as a partner in July 2016. Edward advises on a wide range of corporate matters including establishing, buying and selling, redomiciling and winding up Jersey companies. Much of Edward’s practice involves UK real estate that is held by Jersey vehicles. He is also very experienced on finance matters, again often in the UK real estate sector. Edward has also advised a number of Jersey and international banks on finance and regulatory issues. Since joining Dickinson Gleeson Edward has advised on a number of significant transactions. These have included acting for Land Securities on its purchase of shopping centres, held by Jersey Property Unit Trusts, for in excess of £330m, and advising London and Regional on the refinancing of its Atlas Hotel portfolio, purchased for circa £575m, with Morgan Stanley. Recently, Edward and his team acted for the Reuben Brothers on their £300m acquisition of Burlington Arcade in London’s Mayfair. Originally from Jersey, Edward graduated with a First Class degree from Selwyn College, Cambridge University. Edward trained at Dentons in London and qualified as an English solicitor in 2005. 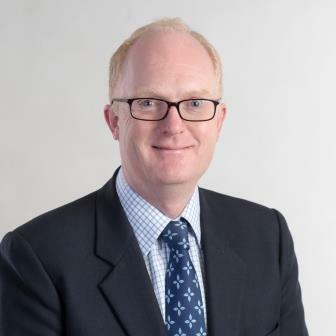 He has worked at Linklaters before returning to Jersey, where he worked for Ogier for seven years, qualifying as a Jersey Advocate in 2013. Edward is Ranked in Chambers UK 2019 and Chambers UK reports that “his technical knowledge is exceptional and his ability to recognise commercially sensitive matters is remarkable.” He has also been “recommended” and noted as being “pragmatic and responsive” by Legal 500.